Sponsor: Every year there is a special place, on a lake in New Hampshire, where people gather to explore their creativity, healing and community. This place is called Squam. Behind this goodness is one remarkable woman by the name of Elizabeth Duvivier, someone who’s sought out to find her path and enlightenment in this creative world, bringing souls together and taking just as much away from each experience as those who attend. The FALL SQUAM RETREAT is taking place this September, complete with twinkle lights, generous teachers, sweet walks through the woods, vintage cottages, laughter on the dock, some very incredible workshops and ending with a Gather Here Bash pre-fair party and the SQUAM ART FAIR Saturday night. 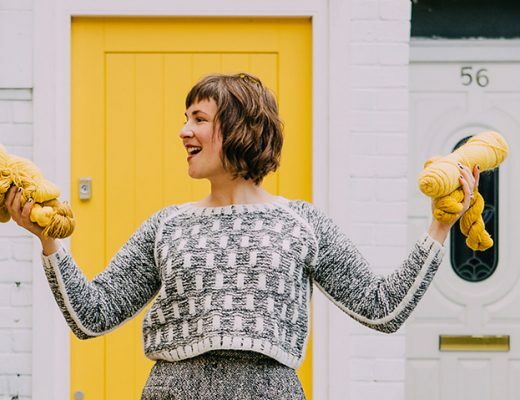 Join classes with incredible fiber folks like Maryanne Moodie, Anne Wood, Arne + Carlos, and Norah Gaughan – also on hand will be Jared Flood, Tif Fussell, Jaime + Amber of Fancy Tiger and so many other lovely spirits. There are still a few spots open so if this has been calling to you there is still time to register and make your travel plans to attend. Visit squamartworkshops.com for full details. Fiber folk: It’s always inspiring to receive emails from young fiber folks finding their way in this fiber world, hearing their story and being inspired as I continue to on my own fiber journey. 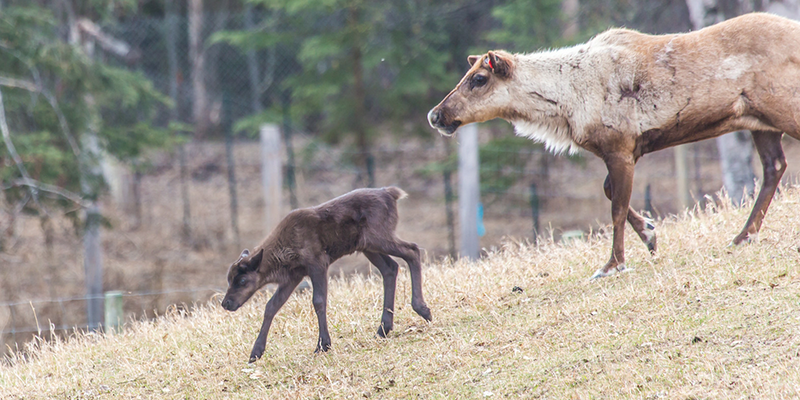 Avril Freeman is one such person, having found herself in Alaska working with Muskox and Reindeer at the Large Animal Research Station (LARS). 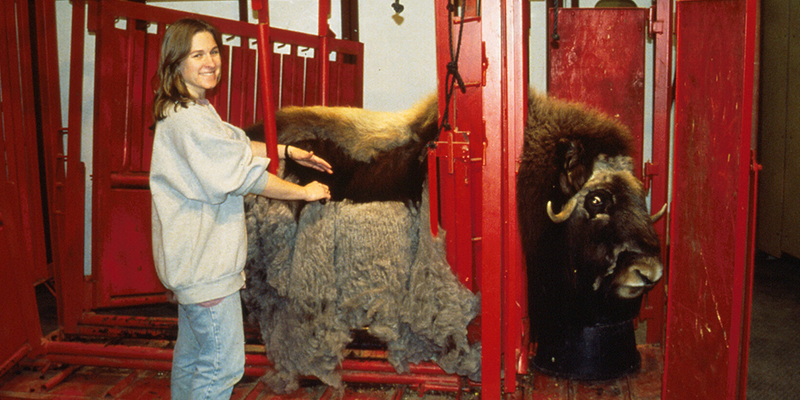 Her involvement in the Fairbanks fiber community spans from collecting Qiviut fiber from the Muskox, helping organize the Fairbanks Fiber Festival and making fiber goods for the Large Animal Research Station’s shop. And with her new adventures in motherhood, she has en exciting future ahead of her. You can find Avril at muskoxuaf.org and on Instagram @avrilcultural. 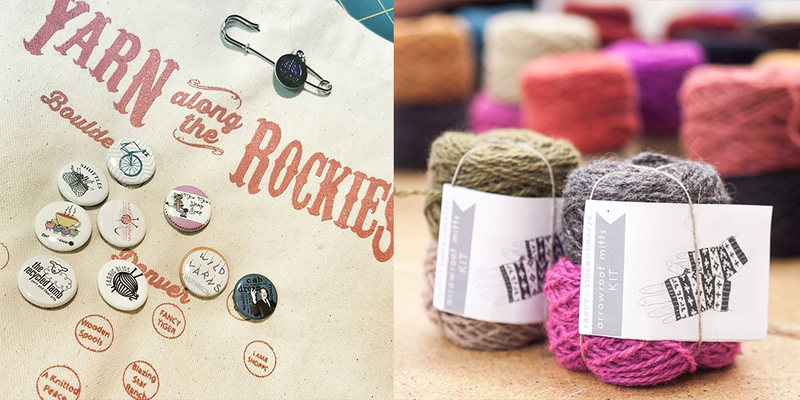 Sponsor: Yarn Along the Rockies is a yarn crawl on the front range of Colorado that features 18 shops from Colorado Springs to Boulder. YATR spans 9 days from August 20th – 28th. Yarn Crawl participants can take a Passport Tour of participating yarn shops for a chance to win one of five grand prizes as well as enter to win prize baskets at each store and participating shops will each have a free pattern available for crawlers as well as a free shop pin. If you visit 4 stores or more during the 9 day yarn crawl to get a free commemorative stitch marker. 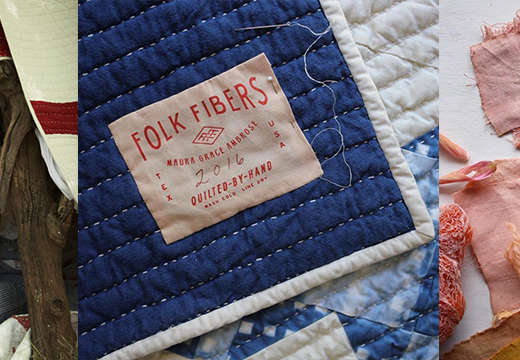 If you’re a Colorado resident or visiting in August, you don’t want to miss this fiber community event. Visit yarnalongtherockies.com for a printable list of participating shops and more info on this exciting event. And find them on Instagram @yarnalongtherockies. In Residence: And for those anticipating the start of the new “In Residence” podcast segment, we’ve been receiving some great questions for our residents and decided to leave it open a little longer to collect more feedback from listeners…so the first In Residence segment will air in July! I’m looking forward to it, I hope you are too. Giveaway: The winner of last weeks giveaway is April, you’ve won 10 skeins of Acadia yarn in the color Driftwood from The Fibre Company and East London Knit’s Zen Variations collection. Congratulations! This week’s giveaway is sponsored by Avril and the Large Animal Research Station and they’re giving away a precious skein of blended Qiviut and Stinging Nettle yarn. This was such a great episode! 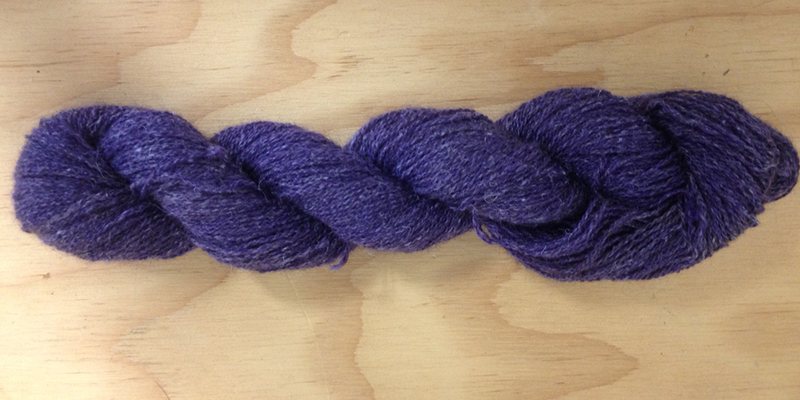 I work with qiviut often, spinning it, naturally dyeing and knitting with it. I’m currently spinning a batch to weave with. So, this episode really spoke to my heart. Thanks again Ashley. Someday I want to spin qiviut! 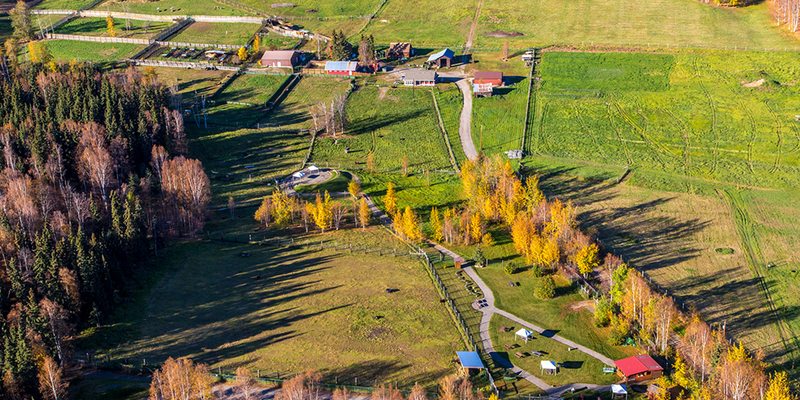 And how I would love to visit a farm like that! What fun to listen to! I’m Avril’s mom, and am teary hearing about how much our knitting and sewing engaged her heart and her hands. I always learn so much. Thank you for another great podcast! Have been binge listening to past episodes as I am very behind… But loving every minute, looking forward to listening to this one soon! Amazing! So much to learn! Thanks! Amazing episode! Thank you so much! So proud of you Avril. What an interesting journey you have been on. I learned so much listening to your interview. Would love to meet Hazel when you are back in Michigan. It’s funny because in my head you will always be that little girl ice skating with my girls and swimming in the pond :). great great podcast ashley. it’s very important that women have choices and can act on those choices. women are important in the home and outside the home. we need to be outspoken and present in both places. thanks for these interviews! Stinging nettle yarn? I’d love to get my hands on some. What a great episode…I love the focus on the daily joy of motherhood. Great episode! Having grown up in Michigan, I especially enjoyed that connection and wish Avril and family well as they head back to the mitten! Fabulous episode thank you. I love how articulate you and your interviewees are – how you all share what is close to your heart and the struggles to find a way that celebrates family and work. I am constantly inspired and encouraged, a gift at the end of a busy working week. 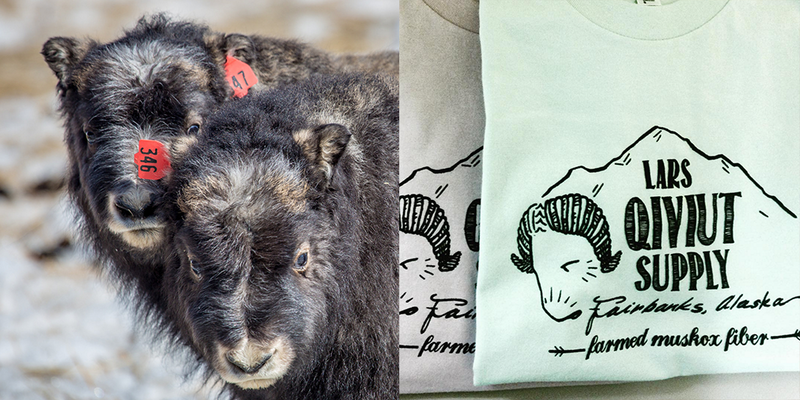 I enjoyed hearing about the musk ox, I didn’t realize they were being farmed as such. Thanks! I haven’t listened to this episode yet as I am still waiting for elements of my environment to align for this particular activity. Anyways, I cant let this opportunity of owning some qiviut to play with pass. I wish myself lots of luck. OMG! Musk Ox! They are my fave! Even if they didn’t produce such luscious fiber! Thank you for the giveaway and another wonderful podcast!! New fiber to me! Thanks for the episode. I am inspired by this episode. I have been wanting to visit a local alpaca farm and learn to spin. I know now I have to do that. I have been trying to find some qivuit for the past couple of years. Would love to knit with it! Thanks again for bringing us another wonderful fiber story. I’d love to pop in with Avril in five years and see where she goes! Great interview. Good luck to Avril for her move & future fiber adventures. I would love to play with some qiviut, I will definitely be purchasing some in the future regardless! I’ve never knit with Qiviut, but my hands are just begging for it now! Great interview and story! 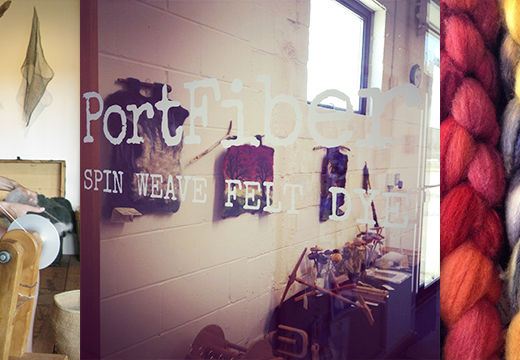 I love hearing the winding paths that people take in the fiber world! I first heard of qiviut when talking to an ornithologist who had spent time studying birds in the arctic and brought some qiviut back for his mother to knit with. Would love to learn what it feels like! I’m fascinated by qiviut and the measure of warmth of fibers. What a precious fiber. Probably be a long time til I can get my hands on any of that! These podcasts are just so perfect for the commute to work–thank you for sharing a little bit about Avril’s story. Qiviut fiber sounds intriguing…now I’m going to have to expand my stash! Wow! I just found you and can’t wait tI catch up on all the episodes. What a great way to start with Qiviut! I love listening to your podcast! I love hearing people’s fiber journey and how they are living try to themselves. 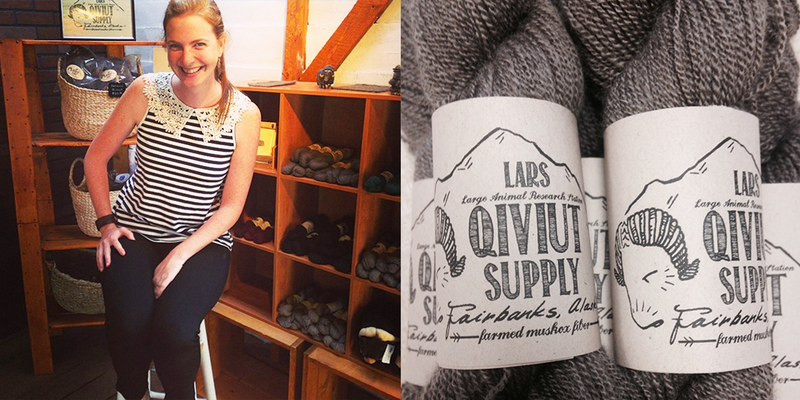 It would be so cool to knit some quivit from Alaska! I didn’t even know this was possible! What an amazing story. I work at a textile museum and always include a discussion about different types of fibres and their characteristics during our school programs. Qiviut is a fibre we usually talk about, so it was great to hear more about the process of harvesting the fibres. Would love the opportunity to work with the qiviut/nettle yarn. I always thought reindeer and caribou were the same thing. Thanks for another great episode. Thank you for another wonderful episode! I am very curious what qiviut feels like! I have learned about the fiber during a science lesson with my son, and I didn’t even think about using it for fiber arts. I will have to start looking for some. Really enjoy your podcasts! Clear, informative, just the right amount of discussion and good questions. Qiviut is such an amazing fiber. I’ve never felt anything so soft and light and warm. Interesting to hear about Avril’s journey. Very interesting. Thank you for this episode. Lovely episode!! I look forward to this podcast so much. Thank you! I just love your podcast! It’s by far my favorite! Thanks for all your hard work! And thanks for the many prize give aways! Another inspirational episode! Thank you for putting this and all of the others episodes together. Listening to these journeys are life-changing for me. They have definitely made me think of my own journey and what I am doing. As always, I look forward to your next podcast. Best of luck to Avril in her journey! I loved hearing about another Michigander coming home. Best wishes to Avril and family in their upcoming move. What a lovely interview! I hope someday to experience knitting with Qiviut. I really enjoyed hearing Avril’s perspective and best wishes to her and her family. Super interesting! I’d love to ry that yarn! Thank you for sharing another great interview with us. Best wishes to Avril as she moves forward. Another wonderful episode, what an interesting woman Avril is. And the baby noises just made it for me. Thank you again for another interesting episode. The giveaway skein of yarn sounds intriguing too-quiviut and stinging nettle?! The spinner in me is very curious. Love your podcast! Love hearing about interesting people’s fiber stories. these interviews are always amazing, soothing and inspired! I love this! How unique and interesting. Such an interesting episode and lovely photography. I also have dreams of farm life but living out in the desert southwest, the only animals I can successfully sustain are lizards, tortoises, and the occasional snake, non of which are fiber bearing. Yay Yarn Along the Rockies! I tried it for the first time last year and had a great time. Fun podcast too! This was so interesting, I have never seen muskox in the fur and I would so love to make a trip up to the Alaskan frontier just to see them. Great episode, I want to learn MORE! Love your podcast and look forward to each new episode! What a fascinating story! It would be great to hear a follow up in one year after the move back to Michigan. Thank you for this podcast, especially the section about motherhood! Great to learn about another fiber! I couldn’t agree more on the thoughts shared about motherhood and life! Another great podcast. It’s encouraging that the younger generation is realizing that the women’s movement was actually all about choice, not that all women should work, but that you have the opportunity to do whatever makes you happy – work on a career, stay home or do a combination of both however it works for your family (and that goes for men, too). Lovely! This was such an inspirational episode, as I’m also at a crossroad where I’m weighing career vs. home life. Thanks for sharing! 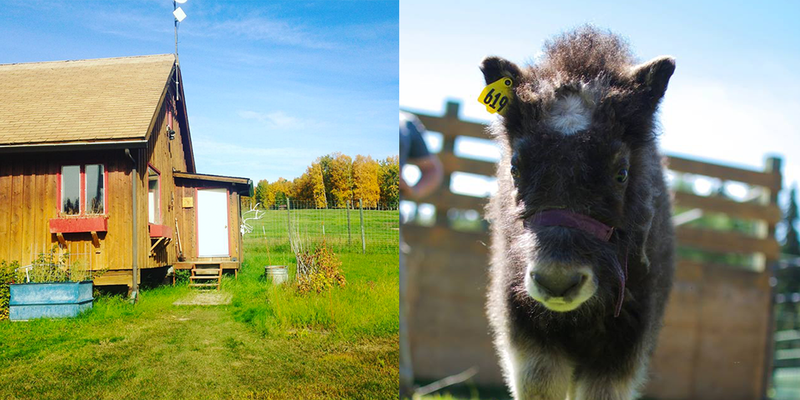 I LOVE the baby musk oxen photo. Awww…… Another great podcast. 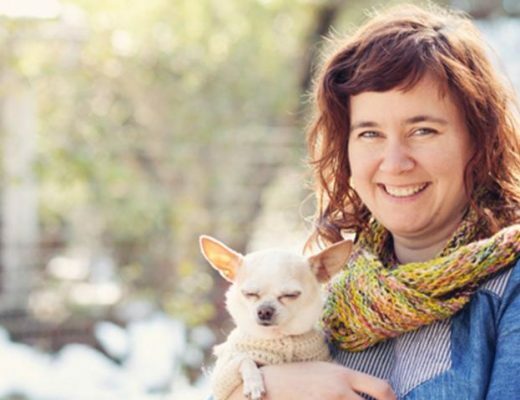 After listening to this episode, I started researching yarns from animals other than sheep and alpaca, etc, and it’s opened up a whole new world! Who knew about all these different alpaca breeds and oxen fibers? I’m so excited. Thanks for a great episode! Great episode! 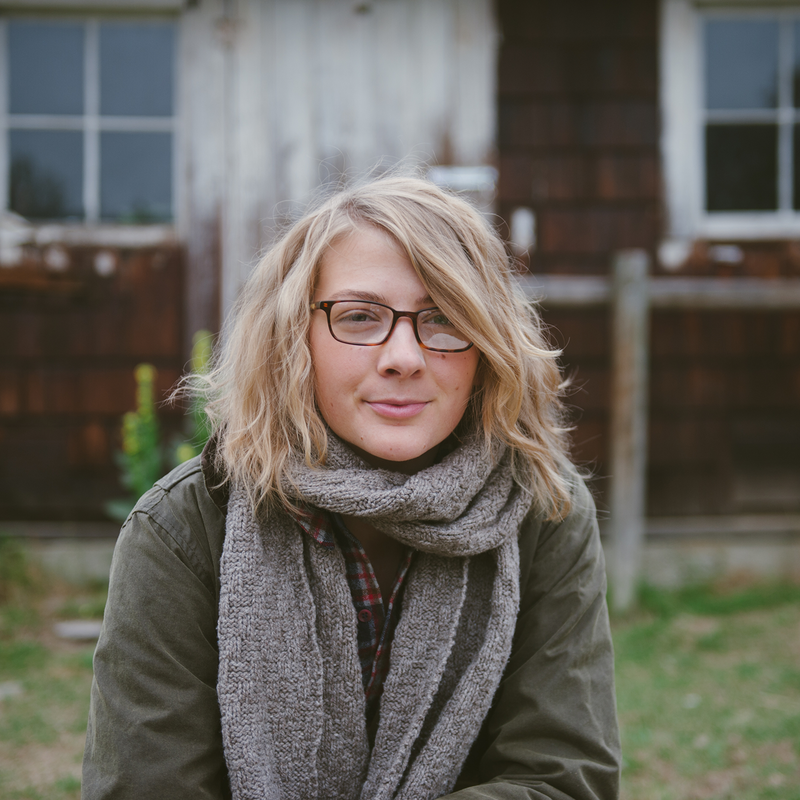 She’s a really inspiring example for young fiber artists. I wish her the best! This was a fascinating story. Thank you for sharing. Great episode! UAF is my school and I love visiting LARS. It was so neat to hear Avril’s story. Thank you for sharing! 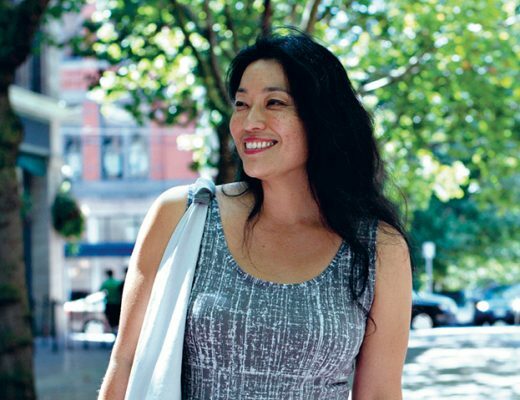 What a wonderful human story as well as the journey of learning with fibre. Thanks for the podcast. It was great to hear about the qiviut. I’d never heard about it before going to the Toronto Knitter’s Frolic this year–Cottage Craft Angora, in Quebec, were there and I got to look at and feel it. Unbelievably soft to feel. Thanks so much for sharing your story, Avril! Definitely one of my favorite episodes. 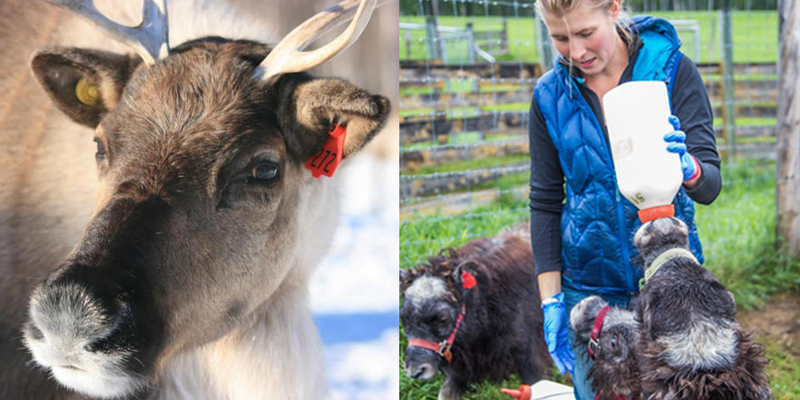 Combining animal research with your fiber passions for a career sounds like such a dream! I had just been looking up ways to volunteer with wildlife organizations in my area before I listened to this, so it definitely upped my drive! I’m new to this podcast but so glad I found it!! 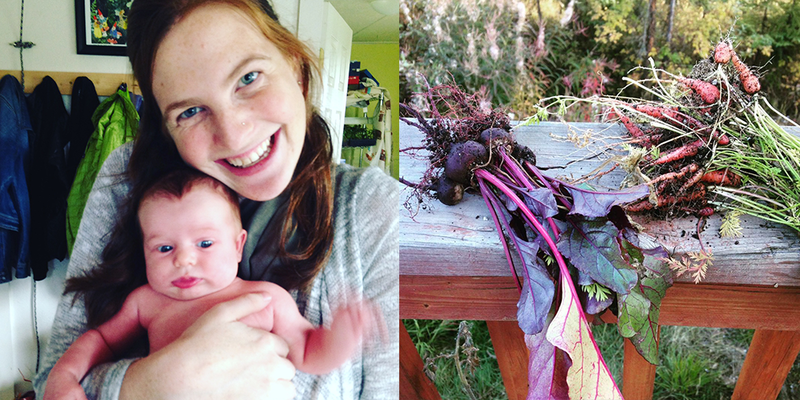 I lived in Alaska and went to UAF…I am an environmental educator, like Avril and have a love of agriculture, self-sustainability and fiber!! It’s so neat to hear her story and a little about her journey. It was awesome for the first episode I heard to be one I related to on so many levels, and to be so inspiring!! I can’t wait to listen to more!! Thank you for another inspiring story!!! We don’t have this yarn in Oz! Neat episode, I am intrigued to learn more about this fiber! This is my first comment as I wanted to get “caught up” but now I need to figure out how to get older episodes. How cool it was to learn about Quivut but every episode is a new adventure. Thank you for being here for all of us! Great episode! Would love to try out some Qiviut. Beautiful color! I would so like to be the lucky winner! Just recently started listening. Great stories! What a lovely episode!! I love the way you conduct interviews, Ashley. It’s like listening to a conversation between friends. Thanks again! I had never heard of Qiviut before! Super fun to learn about new fibers! This was a great episode and so inspirational for young women wanting to follow their dream. Thanks, as always, Ashley, for this inspiring episode. I applaud Avril’s decisions and wish her the best as she settles into Motherhood and Familyhood in Michigan. Another lovely episode. Always interesting and inspiring. What a wonderful episode. I loved hearing part of Avril’s story, and yours too. Thank you! Thank you for sharing such an inspiring story . Amazing stories of amazing people. I always learn so much. Loved listening to Avril’s story and wish her the best with her upcoming move. 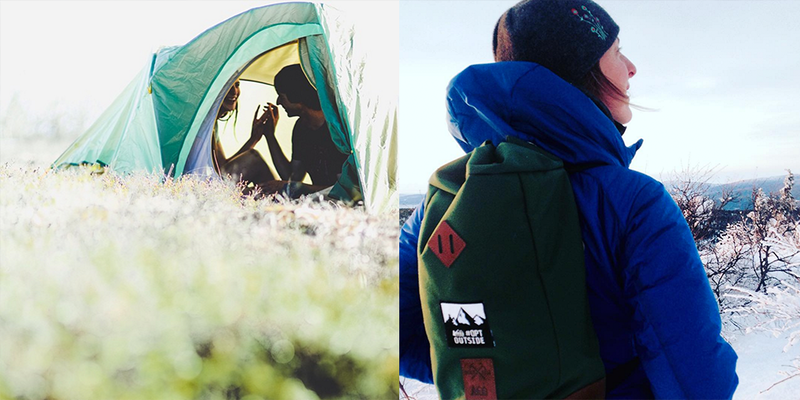 Really fun to get a glimpse of life in Alaska and hearing Avril’s story.